Molly, a two-year-old small lab mix about 38 lbs, spayed, up-to-date on shots and was rescued from the woods in Tennessee this past winter. 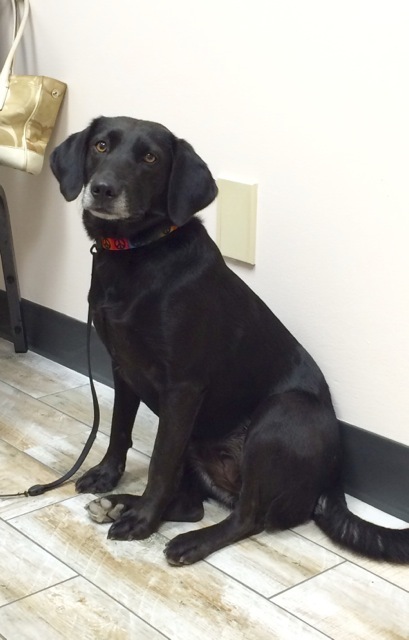 Molly is a sweet girl, shy but friendly. She’s house trained, gets along with other dogs, and loves to cuddle and be petted. Molly walks well on a leash and loves her daily walks. Molly was part of a bonded pair. She and Duke were parents to a litter of puppies. They provided food and shelter during the winter and the puppies thrived and were rescued and have been adopted. It’s now time for these two to have the love and attention they deserve.